With the recent surge of interest in headphones thanks to the combination of style and sound quality from brands like Dr Dre’s Beats, there are a lot of other firms capitalising on it. 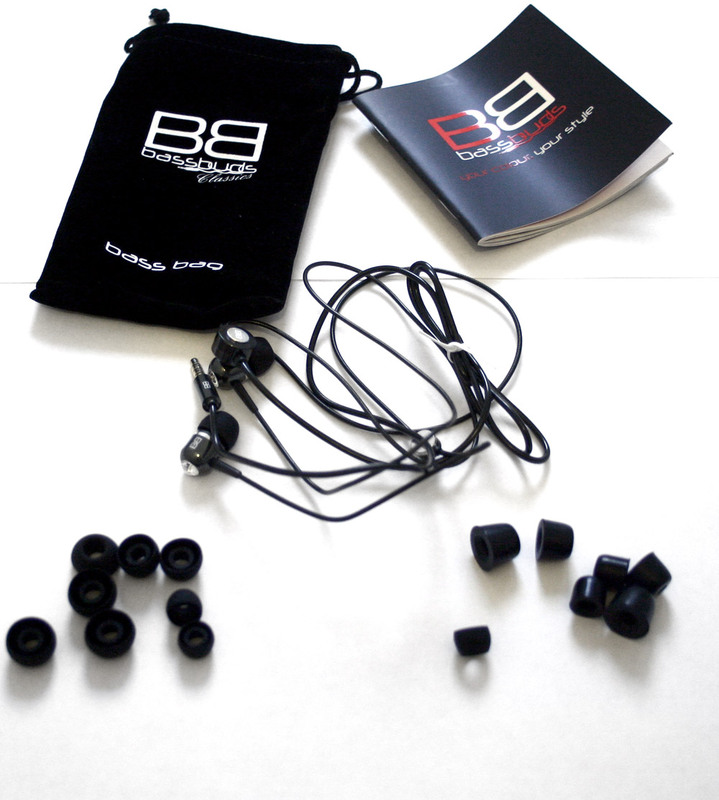 One of these is BassBuds, which has a big line up of Classic variants. Available in a lot of different colours, the Classics feature a crystal ear in-lay and a built in mic for answering your phone on the move. Let’s see if they stack up in our tests. 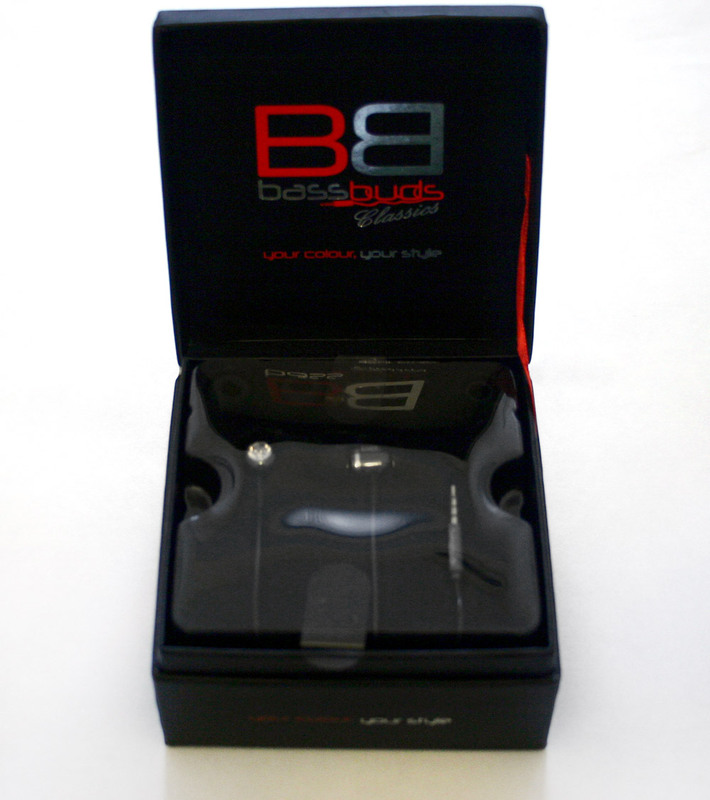 The Bassbuds come in a fetching little black box which pops open revealing the vacuum packed plastic interior. From the design it’s clear that BassBuds are aimed at a style and class concious consumer.They packaging and the earphones themselves have a quality and sophisticated look to them. This is no nerd product, it’s aimed at those that care how the product and subsequently they, look. Along with the headphones themselves, you get a small felt bag to carry them around in. I don’t think it’ll ever see much usage but it’s there. There’s also a product guide which is essentially just an advertisement for the other colours you can buy the BassBuds in. And on top of that, there’s loads and loads of earphone covers. Some are rubber, others are foam and they come in a variety of sizes to cover every ear size out there. Or most of them at least.